This bird can be identified by her markings: black stretch pants, jogging shoes with neon accents, zip-up top. She will be carrying a water bottle, and rolled yoga mat. These markings let us know she is either on her way to a Yoga or Zumba class, on the way back from a Yoga or Zumba class, or somewhere in-between. Basically, she is prepared to work out at any moment, all day, every day. 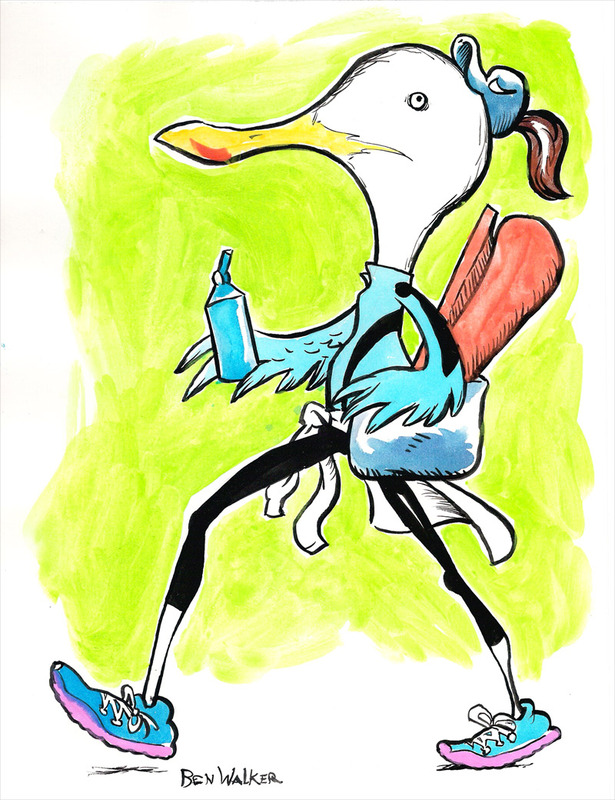 Yes, the Activewear Gull is into fitness but she is also very, very busy. So busy that she has no time to change into any other clothing. And if she is busy, that means she is important. So if you see a gull in yoga pants you know she is definitely an influential go-getter. Or she just likes stretchy clothes.